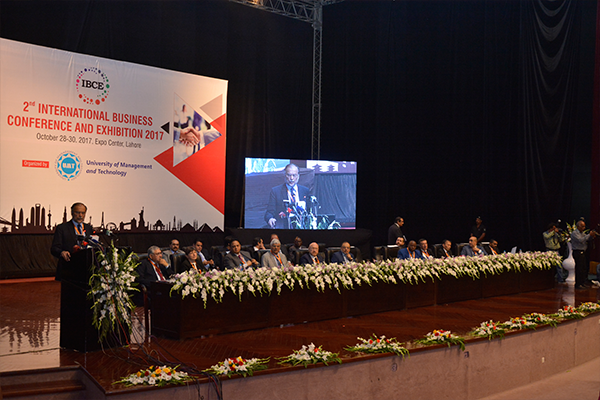 Delivering his remakrs at the IBCE 2017 Prof Ahsan Iqbal Choudhary, Federal Interior Minister, said that IBCE has become a major event to bring academia, business and international partnerships closer. It has drawn about 150 local and foreign businesses and brought them to a point of convergence. He reminded everyone present that we have entered an unprecedented period in history as no other generation has encountered such rapid change. In the last 3 decades, our generation has seen a transformation from blackboard to 4G. organizations, people, businesses, academia – all are devising strategies to cope with the change is technology and human life. Those who fail to take these factors into account, fail altogether. Take Blackberry and Nokia which collapsed because they failed to keep pace with technology and consumer preferences. The Minister urged everyone to look towards the future. In the global supply chain, countries are focusing on what they can do better and develop collaborative mechanisms. He said that Pakistan has a great future and CPEC will be a game changer for the people of Pakistan. 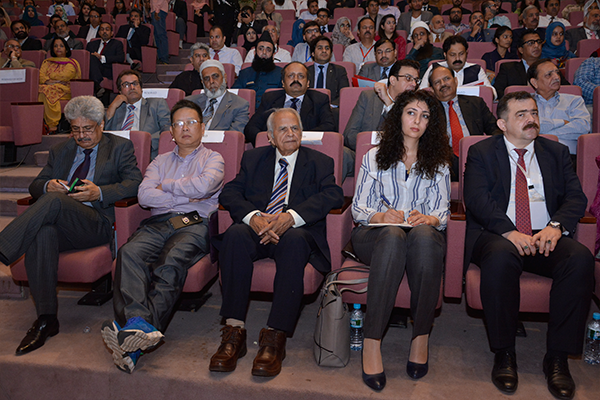 Pakistan is located in the cross section of the future engine of growth. It is time to work harder, smarter and better to reap full benefits of this opportunity.